It's been a while! Hope you are doing well and 2015 is shaping up to be a good year for you. We here at United Sign? Why yes, thank you! We are doing just fine and enjoying a somewhat cool and comfortable Michigan Summer. Pleasantries aside, we have a new blogger in place here at United Sign. My name is Andy and I have a knack for just trying to talk to people and be relate-able. I know that most people come to read a blog looking for ideas, creative ways to use products and let's be honest...reading a blog can be a perfect way to spend a few minutes of down time and hopefully you'll find some enjoyment in what's presented as well as some useful information and ideas to help you build brands, customer loyalty, revenue etc. and so forth. 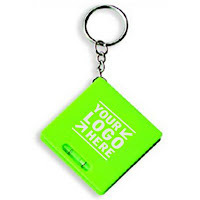 We are working on adding all kind of cool things to our offerings here, including promotional products that you can use! My background in business is developing loyalty by creating top of mind awareness. There are a multitude of ways to do this, but the key to it, in my humble opinion? No matter your product or service....you want your customer to think that if they want an ice cream cone....there is only one place to go....YOURS. The best part is....they are under a buck! They also come in handy for construction sites, realtors, travelers and more! Click on the image and see! Take a look around the site as well and see if this or something else suits your fancy! It's a simple, affordable way to develop and maintain a little loyalty and you are in their pocket, purse or on their key chain all the time! Not to mention, the gratitude they feel when you say "Hey, Thanks for being a customer. We appreciate you"